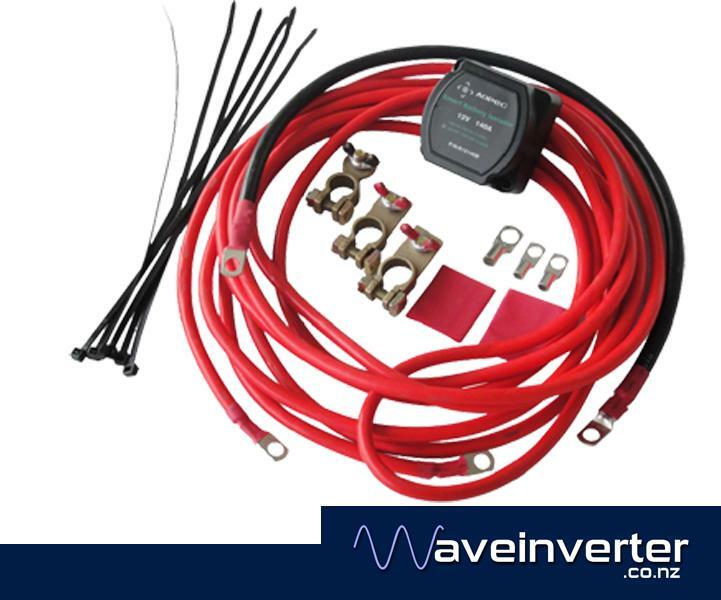 This smart dual battery isolator allows two batteries to be charged from your engine alternator at the same time. When your engine is on and the start battery is sufficiently charged the isolator kit will begin charging the auxiliary battery simultaneously. When the voltage of the start battery drops beneath the cut off voltage(25.6v) for 5 seconds this isolator disconnects the starter battery from your auxiliary circuit. This isolates the start battery and eliminates the possibility of draining it, ensuring that you always have enough charge to start your engine, and also protects sensitive electronic equipment powered from the auxiliary battery from harmful engine start-up spikes. Suitable for Marine, 4WD, caravan and solar applications. We fit these to motor homes, boats and trade vehicles on a weekly basis. This listing is for the isolator and complete installation kit.